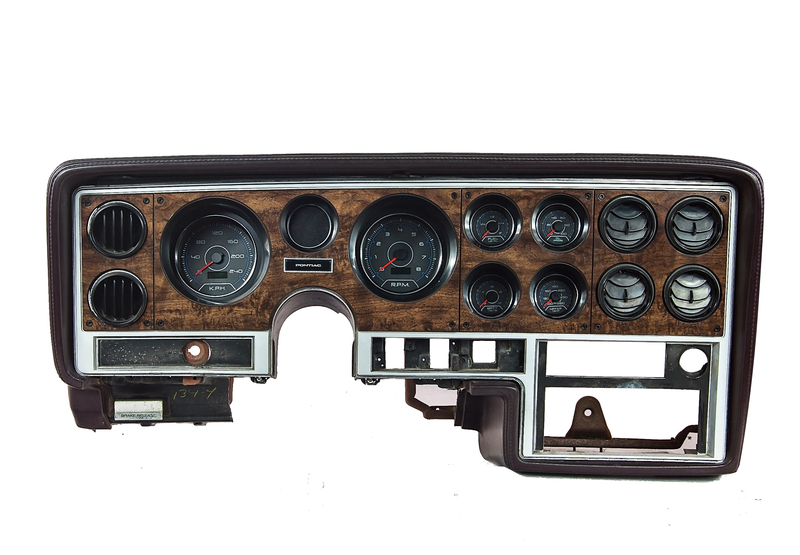 Gauge kits for 78-88 Pontiac Grand Prix enable installation of NVU instruments into the stock location in the Pontiac dash. 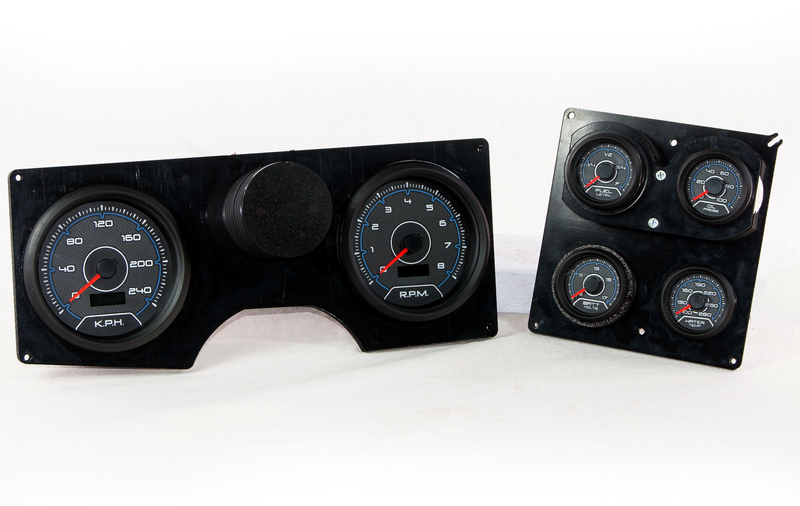 6 gauges kits help you monitor the vitals while upgrading the look and features of the stock dash. Instruments can be installed in any position to suit your taste. 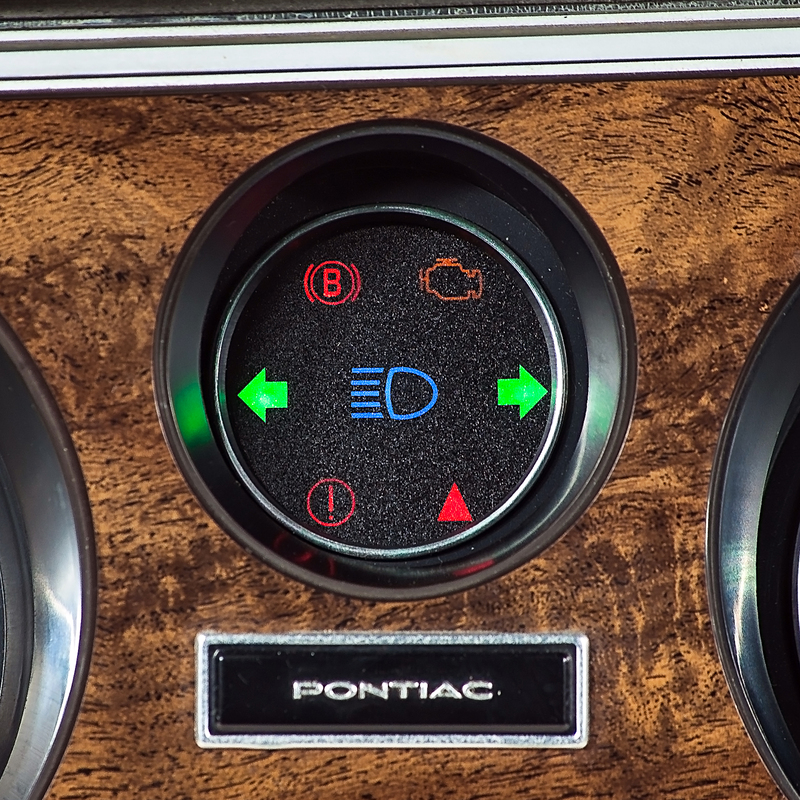 NVU's exclusive center indicator allow the use of warning lights, turn signals and hi beam. Bracket is manufactured using NVU's exclusive CNC laminate process with adjustabilty for a perfect fit every time.